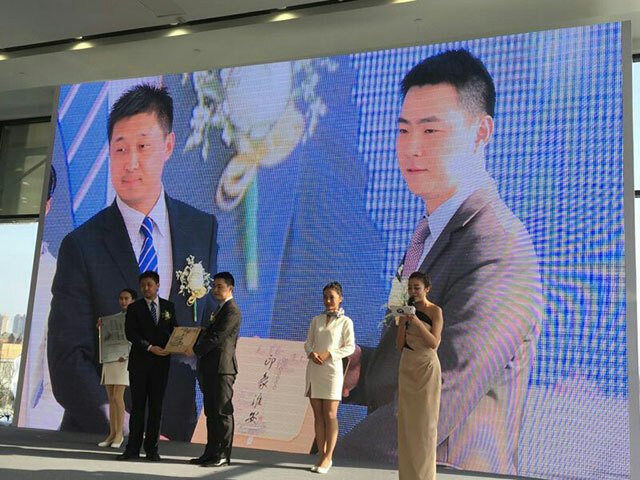 On 3, March, 2016, another BMW-authorized 4s store of Greenland Rundong-Huaian Runbaohang opens up. 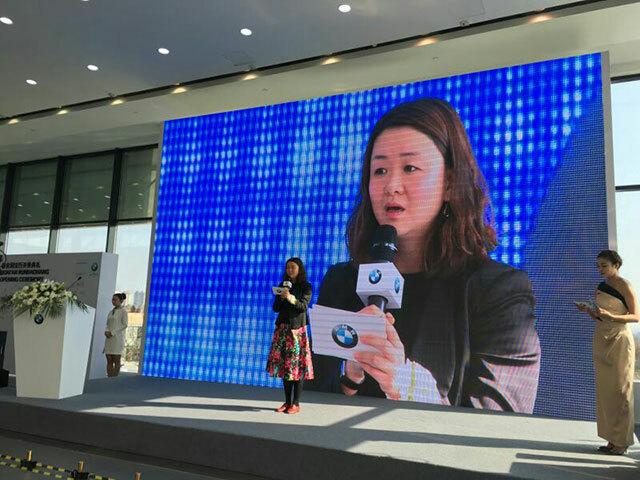 As a new member of the BMW family, Huaian Runbaohang integrates exhibition, sales and after-sales, which can offer excellent products and provide better service experiences and make the enthusiasts of BMW brands feel the glamour of BMW “working miracle” at a short distance. Four representatives led by the senior manager of BMW Eastern region Ms. Duan Zhuoya, vice president of Rundong Auto Mr. Mo Guocai, vice president of Rundong Auto Mr. Jiang Xiaofei, deputy general manager of Xuzhou region Mr. Chang Long and general manager of Huaian Runbaohang Mr. Liu Bo attend the opening ceremony of Runbaohang. Huaian Runbaohang is constructed and equipped according to BMW’s high-standard which is uniform worldwide. It is bright and spacious inside. In addition, it is divided as products exhibition area, BMW Lifestyle products display area, reception area, VIP resting area, maintenance area, entertainment area, etc, which carries on the simple and noble style of the BMW. At the same time, it is equipped with modernized data networking system, which makes the management of client files, the dynamic process of maintenance and the inventories of the spare parts efficient. 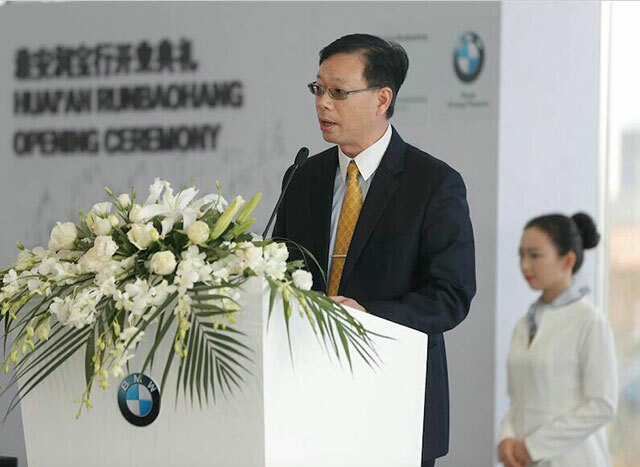 Apart from providing a comfortable experiencing and purchasing environment for consumers, Huaian Runbaohang is equipped with service consultants and technicians who has undergone strict and systematic BMW training. All of them will provide the customers with professional and first-rate services. New vehicle models which attract much attention are available in this newly-opening store, including the new generation BMW 7 series flagship sedan, all-round luxury speedster BMW X6, BMW 2 series sports tourer and new generation BMW 5 series plug-in hybrid vehicle, etc. 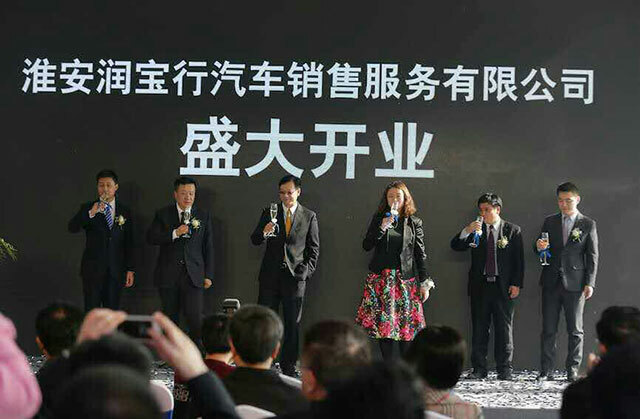 In addition, Huaian Runbaohang launches special offers such as recharging RMB 10000 yuan into membership card customers can get premium RMB 1000 yuan; self-funded spray painting will get 50% off; changing wheels will get 20% off without man-hour cost, etc. at the opening. In terms of after-sales services, Huaian Runbaohang provides national uniform standard maintenance and complies with “accompany for joy” after-sales brand strategy. It centers on the customer value of convenience, reliance and love, providing a series of services which are warmly welcomed by the customers. With the market of luxury cars trending towards normality, BMW will attach more emphasis on the developing strategy of innovation and sustainability. This year, it will further meet the demands of the refined market and completely enhance its productivity from entry-level types to the top ends. At the same time, the new energy vehicles of BMW will be strengthened. In terms of dealership network, it emphasizes diversified development, supports and helps the dealers to develop various revenue streams. BMW will embrace the future with more dealer companions. China Greenland Rundong Auto Group Limited is a comprehensive dealer which devote itself to the luxury and high-end auto brand business. It was founded in 1998. After the first store was opened up in Xuzhou, September, 2001, with its rapid growth, Rundong has become one of the largest luxury and high-end auto dealer which locate in the east China. Rundong owns73 stores in total until June, 30, 2016 offering high-quality service to the customers in the rich areas like Jiangsu, Shandong and Zhejiang Province, also Shanghai city. It finished it IPO in HongKong, August 12th 2014. (Stknme: Rundong Auto; StkCode: 01365.HK). In October, 2015, Rundong Auto successfully lead Greenland brings in Greenland Holding Group and the company’s name is changed into China Greenland Rundong Auto Group Limited after joining Greenland Holding Group. At the same time, its stock code is changed into “Greenland Rundong”. The medium-term developmental strategic target of Greenland Rundong is becoming a world-leading, hundred-million-scale luxury vehicle comprehensive service dealer.